This napping pillow can be folded to a small package size of 3.9"L*5.9"W, it is very easy to carry it in your backpack or pocket with the ultralight weight of 11.2oz ( 320g ), easily attaches to luggage.. Made in specially choosen material of strong, durable, water-proof and life time guarantee. It is applicable to use in camping, travelling, school, office, airplane etc. 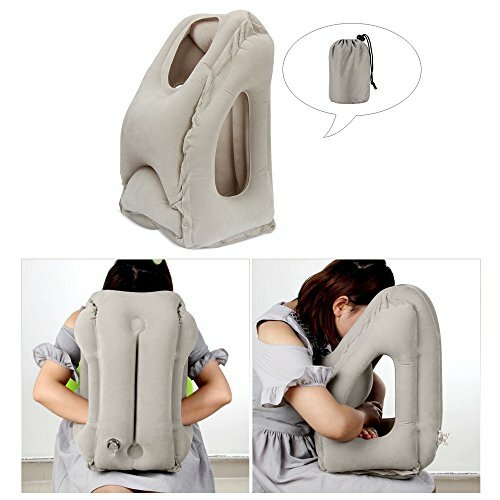 Contributing to the inflated size of 14.6"L*13.8"W*20.1"H, your neck & head gets the comfortable support, which provide optimal spinal health for all of you..
Category: Pillow | eShop: Amazon..